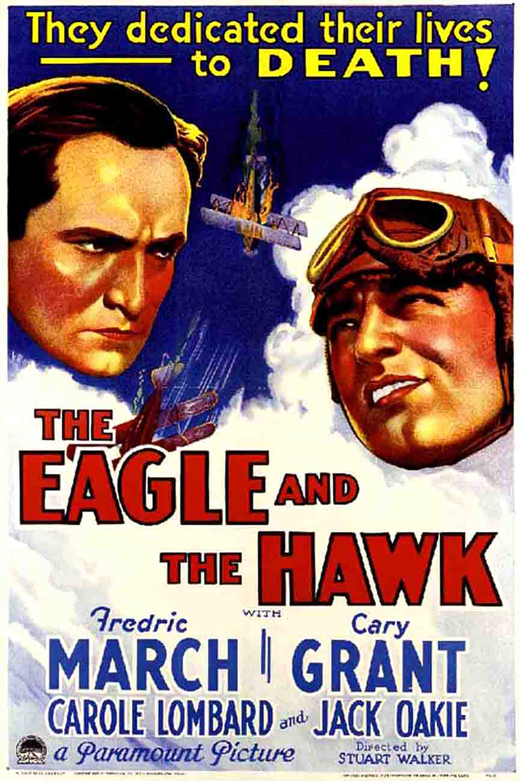 The Eagle and the Hawk is a 1933 American Pre-Code aerial war film directed by Stuart Walker and based on an original story by John Monk Saunders. The film stars Fredric March and Cary Grant as World War I Royal Air Force fighter pilots. The supporting cast includes Carole Lombard and Jack Oakie. The Eagle and the Hawk was well received and critical reaction was extremely positive, characterizing the film as "... one of the better World War I dramas produced during the 1930s." Reviewer Mordaunt Hall at The New York Times, described the film as "... a vivid and impressive account of the effect of battles in the clouds upon an American ace. It is, fortunately, devoid of the stereotyped ideas which have weakened most of such narratives. Here is a drama told with a praiseworthy sense of realism, and the leading role is portrayed very efficiently by Fredric March."